Egypt has tourist villages because of the biblical Moses, the Pyramids and the Sphinx which the people of Israel made for them! Israel has tourist villages because of Jesus Christ, Bethlehem and Jerusalem! Saudi Arabia has tourist villages because of the Prophet Mohammed, Mecca and Medina! But why not Ethiopia, because of Adam and Eve, and the biblical Garden of Eden?! There is no doubt that the origin of mankind is in Africa, and it seems that there is a consensus between scholars on this issue. For example, I read an article written by the former United Nations Secretary General Mr Kofi Anan (in Ethiopian Herald last year, I forgot the edition) where he mentioned that the origin of mankind is in Africa. Not only that, in the opening of the world cup in South Africa, Mr. Jacob Zuma, President of South Africa, was addressing guests of the world saying that; “ Africa is the origin of mankind; welcome to your home”. The question is where is the specific place where God put His creature Adam and EVE? Be it a Christian, a Muslim, a Jew or anyone from any religion who accept the books of Moses in the Bible, it is not difficult for him/her to understand that God had put His creature Adam in the Eden of Garden, which is found in Ethiopia. Reduction theory can be used to examine the fact that the Biblical Garden of Eden, where God put Adam, is in Ethiopia. The Holy Bible clearly tells us that Gihon (White Nile and the Nile) goes around the whole land of Cush, or Ethiopia (Genesis 2:13). On this point many scholars agree. Cush in Hebrew, Ethiopia in Greek and Sudan in Arabic meant the same, burned face, and this is a fact that, historically, these burned face people used to live in this part of the Globe, the land of Cush. It should be noted that all East African countries, with exception of Egypt, through which the river Gihon goes up to the Indian Ocean was identified as the Biblical Ethiopia or Cush. The Bible also tells us that Noah begot Ham, Ham begot Cush and Cush begot Havilah (Genesis 10: 1-7), and the land of Havilah is in Ethiopia identified today as Godjam, the land skirted by the river Pishon (Genesis 2:11-12) or the Blue Nile, the first of the four rivers of Eden. If, according to the Bible, we identify Gihon as the second river of Eden, which encompasses the land of Cush or Ethiopia, and that Havilah, whose land is skirted by the river Pishon, is the son of Cush, then Havilah and Pishon cannot be elsewhere other than in Ethiopia. Cush cannot send his son Havilah to the other part of the World rather than share from his land. From this, it is easy to understand that Pishon and Gihon, the first and second rivers of Eden, are in East Africa, biblically known as Ethiopia and those of the third and fourth rivers of Eden, namely, Ephratus and Tigrus, in the Middle East. Pishon (Abay) is still watering and moisturizing a region in Ethiopia known as Godjam (Biblically Land of Havilah). This is the Eden Garden, and this is an important point that links the river Pishon (Abay) and the Eden Garden, where God put His Creatures Adam and EVE. I feel that calling Abay as Gihon is wrong. It is true that Gihon encompasses the whole land of ancient Ethiopia (Genesis 2:13), but the river which skirts Godjam is not Gihon; it is the river Pishon that skirts Godjam. The Bible states that, “the name of the first river is Pishon; it is the one which skirts the whole land of Havilah, where there is gold. And the gold of that land is good. Bdellium and the onyx stone are there” (Genesis 2:11). That is why this region had remained as the point of focus by Great Britain during the colonial era and that of Italy until recently (e.g. willing to develop the Pawe agricultural village). The current announcement by Midrock Ethiopia about the presence of over 35,000KG gold deposits in the region is one good evidence that reinforces the statement in the Bible is true. Besides, Aleka (Master) Kidanewold Kifle, in his book Mezgebe Kalat Addis (page 287), also defines and locates the river Pishon as “one of the four rivers of Eden and that river is the one which skirts Godjam”. This paper raises a point of debate between scholars who have different opinions on the issue so that further research can be conducted. Secondly it triggers those who accept the above facts to aspire for other big opportunities to be exploited on the river Abay (Pishon). This big opportunity is a tourism industry in the region in addition to our tourism villages like the Axum Obelisk, Lalibela Rock Hewn Churches, Gondar Castle, the Harar Wall, etc. Introducing and promoting the presence of the first river Pishon and the Eden Garden in Ethiopia, where God put Adam and EVE, is as big a development project as the Grand Renaissance Dam. 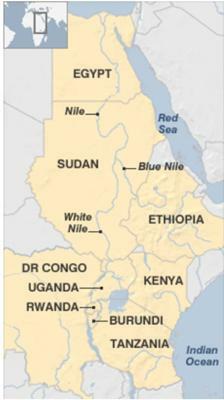 Developing cooperation with the Nile down-stream countries like Egypt and Sudan, even with all African countries as the heritage is to all of them, to invest in the Blue Nile (Abay) and surrounding regions in re-forestation, and preservation of the region like what it was in the era of Adam. This is also a contribution to the environmental preservation of Africa. Resettling and engaging the Abay and peripheral region inhabitants in the development program of the region for a tourism village. Organizing an authoritative body that studies the heritages and manages the development program of the region in a manner that attracts tourists of the world. Promoting the historic asset (the Eden Garden, Adam and EVE, the fist river of God, Pishon, etc) of Ethiopia nationally and internationally. This program does not only create a giant tourism industry in Ethiopia, as well as Africa, but also ensures the sustainability of the already started Grand Renaissance Dam. It is true that this goal and objectives may seem like a dream and unachievable, but nothing is impossible for an envisioned, determined and dedicated government and people. If this generation cannot achieve it, the succeeding generation will. Let’s have emotional acceptance!!! The bible says Gihon is the river of Ethiopia. And Pison is in Havilah (meaning sand). both rivers are not Havilah and are not in the same place. Therefore Pison has to be in desert area with sand with precious stone and gold. And not in Ethiopia. So with all of this that Adam and Eve were people of color. From the Black man, all races came out of Adam. This topic and the related piece is very interesting and fantastic! Update: I think Havilah is actually Midian/Sinai, not Egypt (though part of modern Egypt), so I switch the Pishon and Gihon. That would make Pishon the one submerged by the widening Red Sea, and Gihon the Nile River. As for the land of Turkey, well, I suppose the whole or part of Turkey may have rotated from a position on the west coast of Israel to its current one, implying the River of Eden is what separated Israel from Turkey. That too could connect the Tigris and Euphrates to the Suez Canal and the Nile. Indeed Rob, our speculations could be way off, since we weren't there. You're also right that none of those regions had any such names when Eve was formed from a rib, but they sure had the names in Genesis by the time Moses wrote the book. It's like the mention of the Israelite city Dan before the city existed, simply because it existed in the author's day and age. There's no other way to indicate locations devoid of names except by the contemporary names, for the benefit of the audience. 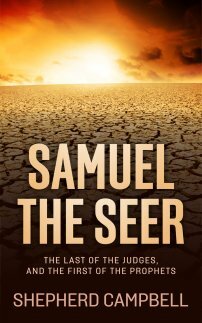 The Amalekite territory in Genesis may be another instance, since Esau's children weren't even born yet -- it depends whether they descended from the same Amalek as Esau's grandson or from an older, completely different Amalek. I realize that my comment may be making the topic seem a bit more pertinent issue than it really is. That is not my intention. This session of discoveries and speculations is, for the most part, recreational. Correct the best way (is not to trust to your own understanding but search within and find GOD and praise him for he alone knows how we were created and when our time is).In the beginning men were guided by Angels sent from our CREATOR. In this modern times of Chaos and Greed some of us through faith have found the True Path. we are just part of the Whole. Mind is EVERTHING. GOD is Mental and Spiritual so go within and seek him. All. Types of tourism makes the country into a prostitute for all the tourist customers to use and abuse and see. another's country as 'exotic ' the country will be pimped out by the highest American and European bidder. TOURISM equals prostitution! :! Well, there is Biblical support for one theory of locating the Garden of Paradise. True, the topography has likely been changed vastly by the Flood, but the Bible does give clues. The land was watered by the River of Eden. It was at Eden's edges from which that river split four ways (Gen 2:10). Pishon River, in Havilah: It's been speculated that Havilah is a reference to Joktan's territory (Gen 10:29), but Moses probably would have specified if it were there and not the far-more-famous Havilah: Egypt. Gihon River, around Cush: It's been said that Cush is a misreading of Qesh (close to Armenia). But it is doubtful that the manuscript read Qesh (Qof-Shin), globally mistaken for Cush (Kaf-Vav-Shin). So I just assume take "Cush" at face-value: Sudan and Ethipoia. Gihon: submerged by the Red Sea? Tigris and Euphrates: No disagreements there that I know of. So if the River of Eden diverged into two rivers in one direction (Mesopotamia) and two the other direction (Africa), then that River of Eden must have been the Jordan River. This is all speculation, but the location of Eden has been hinted as being near the Jordan River, the same "Promised Land" for Adam and Eve as it was for Abraham and for Israel. How the Heavenly Kingdom will be both a restored Eden Paradise and the New Jerusalem? Simple: Jerusalem must have been located where the center of Paradise was originally -- God's plan for man since the world began. The Biblical Garden of Eden is in the land of Havilah, son of Cush, which is skirted by the river Pishon or the Blue Nile. Moses himself visited the region, and even married an Ethiopian. Through guided by the Spirit in writing his books, he had also eye witnesses. Jesus, with his mother Mary, has also visited this region, hopefully, to see the Biblical Garden of Eden Garden. When God created Adam and took Eve out of Adam's rib, let's be correct here,there was no such thing as boundaries or names of countries existing at that time. Even in the time of Nimrod, there was only one language. When God changed the language and no one could understand each other, God was kind enough to let more than one have the same language. Since people congregated to others they could understand, they found they had nothing in common with each other because they couldn't understand the other languages. They moved away and formed their own communities. That started the many different cultures in the world. God said multiply and fill the earth. Since they were not doing that, God made sure they would. It doesn't matter where the Biblical Garden of Eden was, it was completely destroyed in the flood. The garden was the place where God started everything for the future of man. We can speculate all we want, but will never come to a complete understanding of where the garden was. God is taking mankind into the future,where He will setup a new garden of eden called a new heaven and earth. Who will be there only God knows. We can talk all we want, but only God knows the beginning from the end. I would love to know all that God knows, but then i would be like God. I know that is impossible because i am created by God for His purpose. God said who is greater, the house or the one who built the house. I am content to be where i am in this whole scheme of God's plan. If ignorance is bliss, I don't want to be the happiest man in the world. No one will ever find complete happiness in this world or complete truth. I would rather do things God's way because my way only frustrates me. I will not take me where I think I want to go. I want God to take me where He wants me to go.